When you think of being healthier what’s the first thing that comes to mind? you’re eating habits. Eating healthy is not just something you should do every now and then, this is something that should become a part of your everyday life. One of the most common things I hear when I talk to people about eating healthier is “ it’s to expensive to eat healthy”. We’ll Im here to tell you that’s not exactly true, when eating healthy becomes apart of your lifestyle you begin to find places to get quality food at low prices. One place I shop at in particular is Aldi. 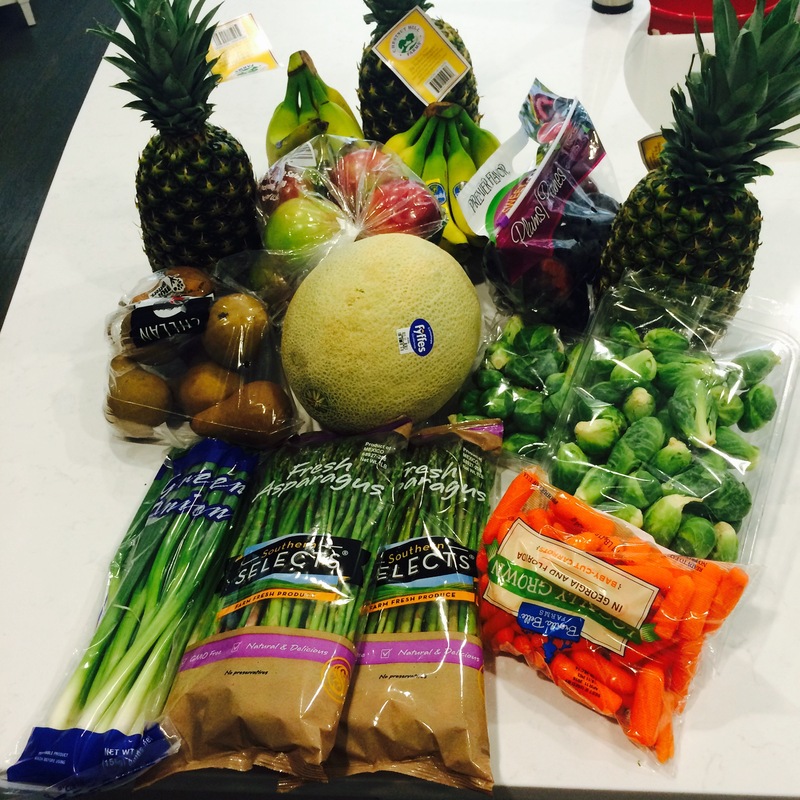 On my last trip to Aldi I purchased: Two bags of fresh asparagus, 2 bags of brussel sprouts, 1 bag of green onion, 1 bag of baby carrots, 1 cantaloup, 1 bag of pears, 1 bag of apples, 1 bag of plums, 2 bundles of bananas and 3 pineapples. My grand total was $20 for enough fruits and vegetables to last me the entire week. Your food choices each day affect your health, how you feel today, tomorrow, and in the future. Good nutrition is an important part of leading a healthy lifestyle. Combined with physical activity, your diet can help you to reach and maintain a healthy weight, reduce your risk of chronic diseases, and promote your overall health. The link between good nutrition and a healthy weight help reduce your risk for chronic disease. Your overall health is too important to ignore but taking steps to eat healthy, you’ll be on your way to getting the nutrients your body needs to stay healthy, active, and strong.